You might remember, I shared how to make fresh mint water a few weeks ago. I thought you might enjoy trying a little different version of it. 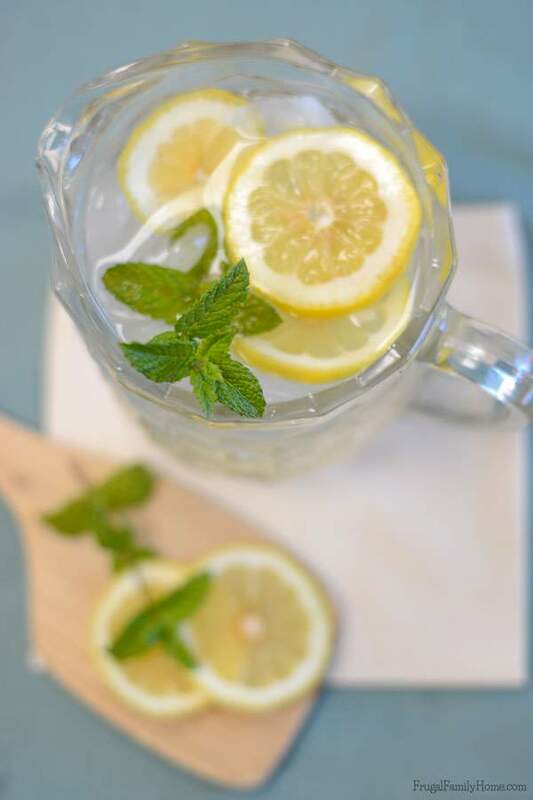 If you liked the mint water, you’ll want to try this easy summer drink recipe for Lemon Mint Water. The citrus of the lemon and the crisp minty flavor really blend together to make a yummy drink. The lemon mint water super easy to make, much like the fresh mint water, but you just add a little lemon. Giving the water a slight mint and citrus flavor too. It can also be very economical too. After we finished the first pitcher of lemon mint water, I just refilled the pitcher again with water to make more. We were able to refill the pitcher three times before the flavors started to fade in the lemon and mint. We drank all three pitchers of the lemon mint water in about a day, so you can see we really love this flavored water. If you try the same thing, you might need to change out the mint after a day, since the mint doesn’t last that long. The lemons can usually go a day or two. Crush the two sprigs of mint in your hands and place in the pitcher with the lemon. Add water to the pitcher and let it sit for at least 30 minutes or overnight in the refrigerator. Enjoy this refreshing drink over crushed ice. For longer storage: remove the mint as it can go bad more quickly. I always remove the fresh mint sprigs after about one day. But the lemon tends to last longer. 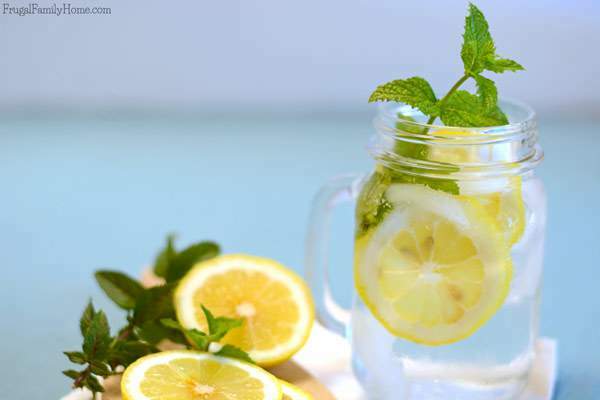 Want a Sweeter Lemon Mint Water? I know sometimes I want a sweeter drink than the regular lemon mint water. 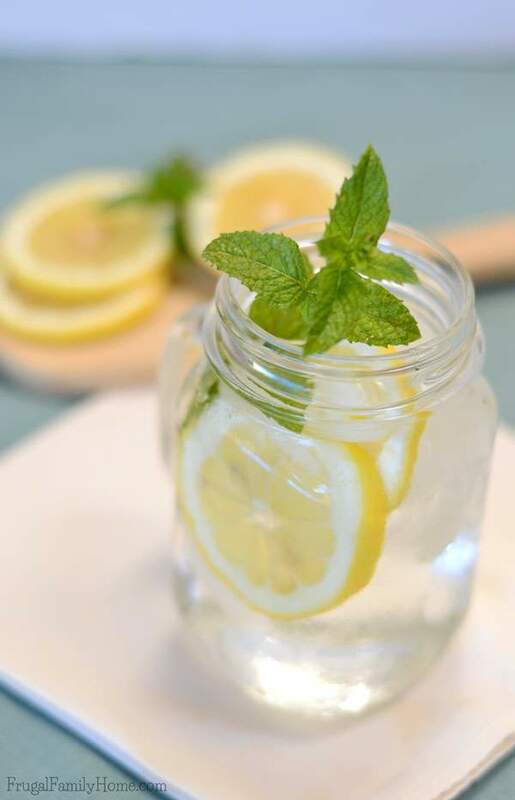 If you are looking to replace a sugary soda, try adding a teaspoon of simple syrup to the lemon mint water. It will sweeten it up just a bit. 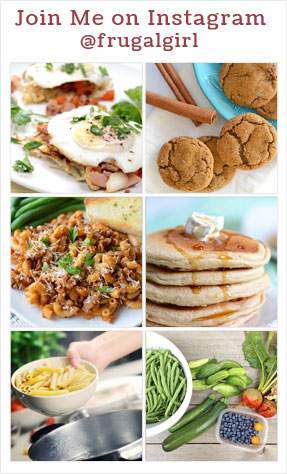 Adjust the simple syrup to more or less to suit your tastes. 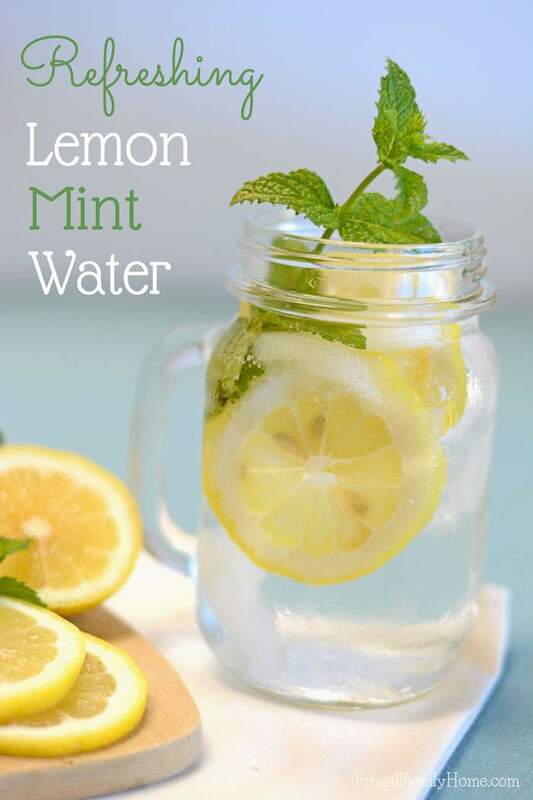 I like the lemon mint water with just a little simple syrup added so much better than any soda. It’s an easy way to make a sweeter drink to avoid the soda all together. This drink is so refreshing on a hot summer day. 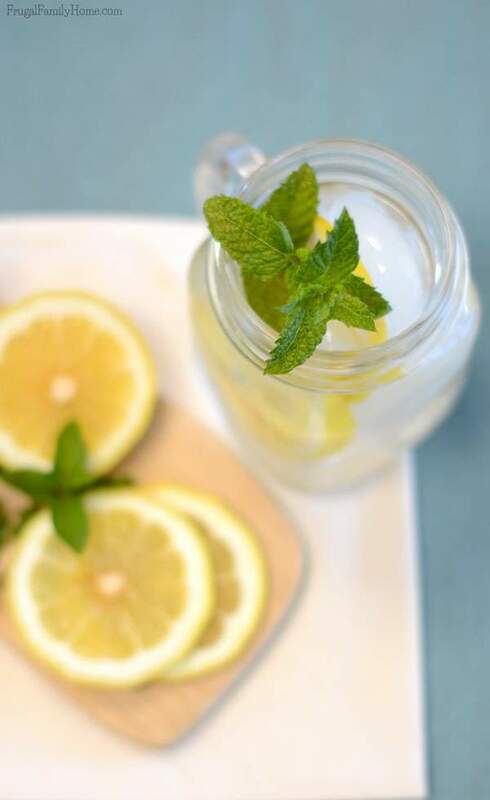 The lemon mint water is also a great way to start off your day. I know if water has just a little flavor added, I will drink more than if it’s just plain water. My kids think it’s a special treat and will drink it up. If tea is a favorite of yours, you’ll want to check out my sun tea recipe. It’s super easy, just like this recipe and hardly any prep work at all. Plus you get to harness the power of the sun to brew the tea. What’s your favorite summertime drink? I would love to have you share your recipe in the comments below. If you are looking for more yummy beverages, be sure to follow my Yummy Beverages Pinterest board for more ideas. I know I’d love drinking this lemon mint water. 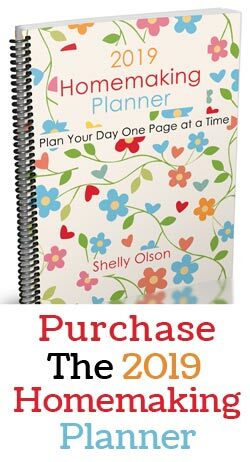 🙂 Thanks for sharing this easy recipe, Shelly!